We are good people.We don’t spam. One of us will lead this session! Among the pioneers of Digital Marketing in India, Pradeep has been part of the Internet Industry since 2000. 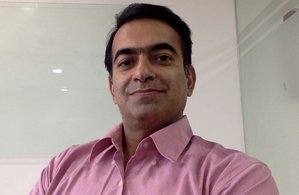 He is a Co-founder and CEO of Digital Vidya. Pradeep has personally trained & advised over 1500 professionals including CEOs across Asia in helping them meet their business objectives using Digital Marketing. Pradeep is an international speaker & an author on Digital Marketing & Entrepreneurship. A graduate from IIT Delhi, Pradeep is a core member of the Global Committee at SEMPO (Search Engine Marketing Professional Organization), a non-profit that nurtures the growth of Digital Marketing globally. Kapil is known for his simplistic and inquisitive leading style, which motivates people to think out-of-the-box. It goes without that saying that Kapil has a deep passion for Entrepreneurship and Digital Marketing. He is a regular speaker at various Digital Marketing conferences and his previous speaking engagements include speaking at SearchCamp and OMCAR.